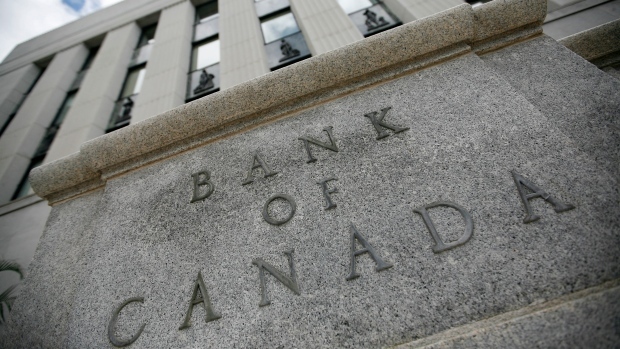 Slowly But Wealthy: Bank of Canada Interest Rate Hike? What does it mean for you? Bank of Canada Interest Rate Hike? What does it mean for you? I am not sure if you have been following the news lately by there has been a lot of speculation that the Bank of Canada will raise its overnight interest rate. Here is a CBC article if you want to read into the background: Article. Ever since the US increased their interest rate, there has been a lot of speculation on when Canada will follow. What this all mean for the average Canadian like yourself? Well interest rate it is used to determine the prime rate which is how much it cost to borrow money. If you were the one lending money then it's how much you should charge for your money. It's kind of like the MSRP when you go buy a car from a dealer, but for borrowing money. Google definition of prime rate: "the lowest rate of interest at which money may be borrowed commercially." The biggest impact is the one area where people burrow the most money, their mortgage. Lets examine the impact of this on mortgage and your monthly payment. So from doing some simple google search, I was able to find this chart on ratehub.ca. It compares Bank of Canada's overnight interest rate with the prime mortgage rate. One thing that I want to point out is that not all banks has the same mortgage prime rate, TD is currently at 2.85% while RBC is at 2.72%. Regardless, the speculation is that BoC will increase its overnight rate from the current 0.5% to 0.75%. We can assume that mortgage rate will go up by about 0.25% as well, it might not be exact but it'll be a good estimation. Let's compare what a 0.25% difference will do to a $200,000 mortgage. It's about $25 more in monthly payment which equates to $1000 more of interest in two years and less money going towards principal. Even thought $25 might not seem like a lot, the expectation is that the rate will continue to go up. My advice is bring your debt down as much as you can while the rate is still relatively low. Pretend that the rate is 0.25% higher and put that extra money towards your monthly payment. I mean eventually you'll have to pay it, might as well do it now. The secondary impact are other debts, such as line of credits and credit cards. Basically, if you are in debt then an increase in interest rate is bad news for you. In David Chilton's book "The Wealthy Barber Returns", he suggested that when the interest rate is low, it's best to pay down your debt. This way when the interest rate goes back up, you wont have to pay as much since your debt is much lower. Even thought his book was one of the best seller, Canadian still owes $1.74 for every dollar in income, guess not a lot of peoples are taking his advice. The fact is, as interest rate goes up, your debt will grow as well if you are not able to take control of it. Interest are usually compounded monthly for credits and it can really get out of control fast.